Tamara Mourino at GreatFlorida Insurance Pinecrest, FL will make sure your homeowner’s insurance policy will provide adequate coverage to protect your home from fires, hurricanes, break-ins and more. Compensation for your financial loss will allow you and your family to continue living comfortably. Pinecrest, FL drivers are required to have a minimum of property damage coverage and personal injury protection. 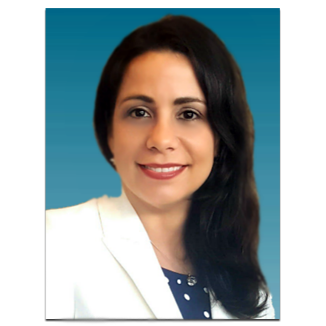 Tamara Mourino at GreatFlorida Insurance Pinecrest, FL, can familiarize you with legal requirements, additional coverage options such as bodily injury liability, collision, no-fault, uninsured motorist and comprehensive coverage and deductibles. A subtropical climate with almost 1,200 miles of coastline creates the ideal conditions for boat owners in Pinecrest, FL. GreatFlorida Boat Insurance will dissipate your worries so you can relax and have safe fun on the water. Tamara Mourino at GreatFlorida Insurance Pinecrest, FL offers customized boat insurance policies to guard against unexpected damages, replacement and liability. Whether you plan to fish, water ski or enjoy the sunset, we cover many different boats with optional coverage to reflect your lifestyle. GreatFlorida Insurance in Pinecrest knows motorcycle riders have the same rights and privileges as other motorist on the road. Unfortunately bikers are exposed, leaving them more vulnerable to injuries and accidents. Your dwelling might not be your permanent place in Pinecrest, FL, but it is where you currently call home. GreatFlorida Renters Insurance will cover the contents of your house in the event of a fire or break-in as well as cover expenses for a visitor who slips and falls on your property. GreatFlorida Commercial Auto or Truck Insurance can guard your business by helping you invest into the right insurance policy. If you are using your own car for small tasks or you own a fleet of vehicles, Tamara Mourino at GreatFlorida Insurance Pinecrest, FL has options to conform to your long term business goals. You might be the picture of health, or have suffered with health issues for years. No matter your situation, there is no denying Pinecrest, FL residents need health insurance. GreatFlorida Insurance can help you navigate through the process of selecting the right coverage level for you and your family. Our relationship with Blue Cross Blue Shield of Florida or Florida Blue, offers our customers quality healthcare services with a broad range of network doctors and healthcare specialist in Pinecrest.